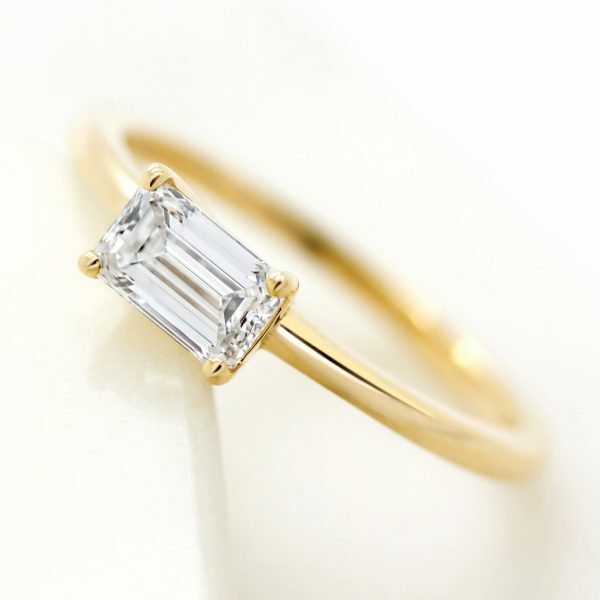 Many people don’t know that pure, 24 carat gold is too soft to be used to craft everyday jewellery, so other metals, known as alloys, are mixed with the gold to create the three variations of gold; white gold, yellow gold and rose gold. Gold is measured in carats (abbreviated ct), with the highest grading for gold being 24 karats. 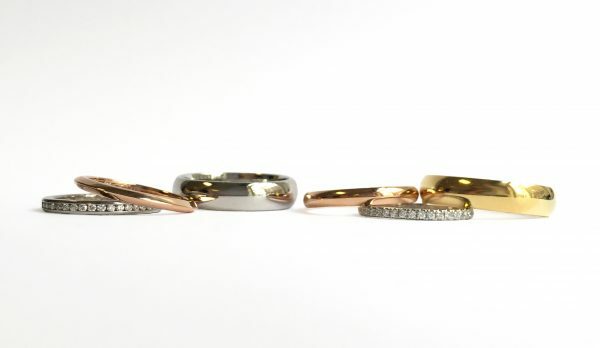 We craft engagement and wedding rings in 18ct gold, ensuring that all of our pieces exude that signature glow and durability that gold lovers are so fond of. 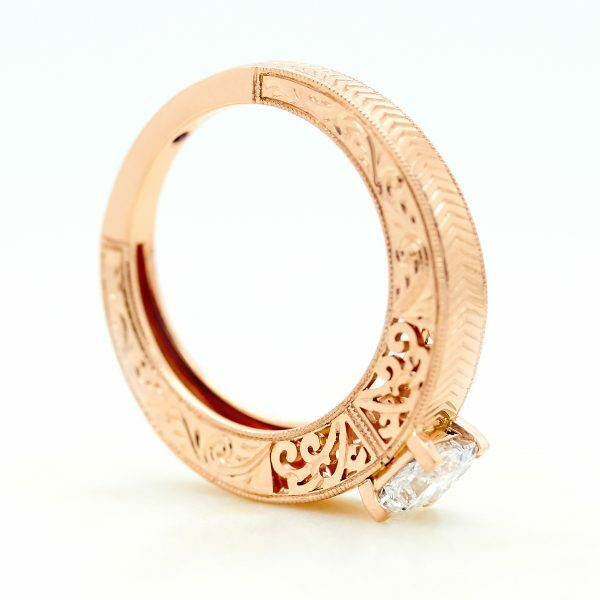 To achieve 18ct white, yellow and rose gold, 75% gold is alloyed with 25% other metals like silver and copper to toughen up and alter the colour of the soft, naturally yellow metal. This results in a hard wearing, glossy finish that’s suitable for rings intended to be worn every day. Perhaps the most iconic metal in jewellery design, gold is a timeless and popular choice for earrings, bracelets, necklaces and of course, those all-important engagement and wedding rings. Its warmth and brightness continues to attract both men and women of all ages, despite the huge popularity of other metals. 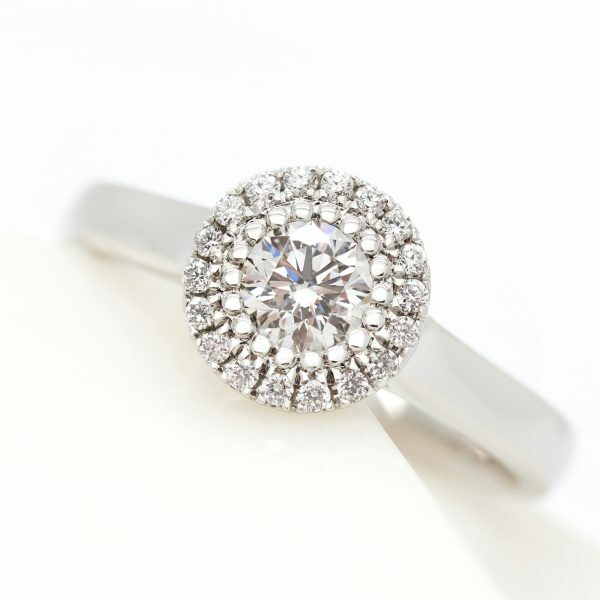 It appears to such a wide range of jewellery wearers due to its high value, lustrous shine and the fact that is complements both dark and light skin tones. And of course, this romantic metal expresses love’s value, rarity and endurance.